Herbal Power - Helps you sing it loud, say it proud, stand up and be heard—plus, gives your immune system a boost! Reason to Love - With a smooth and silky feeling, this blend of comforting and slightly slimy-in-a-good-way herbs is like taking your voice on a vacation. We love licorice root for its sweet, harmonizing characteristics and marshmallow for its well-known soothing properties. 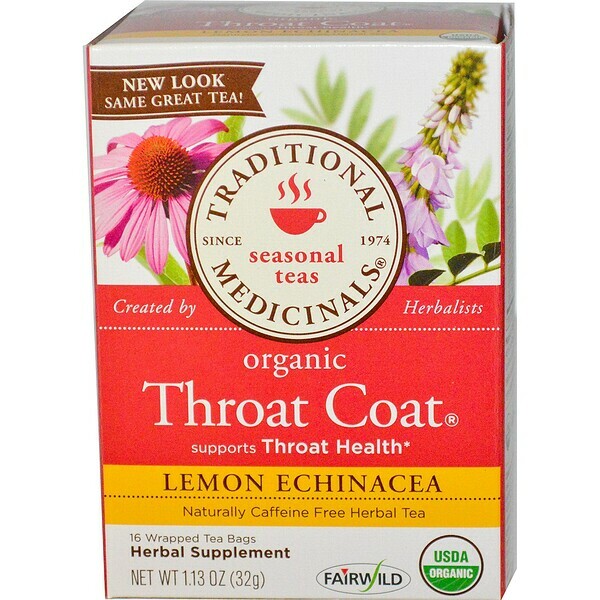 With the added immune-stimulating properties of echinacea, you’ll be singing it loud and proud in no time. Taste - Sweet, viscous and lemony, with echinacea’s characteristic tongue-tingle. We raise the bar. The quality standard of the herbs we use is hard to pronounce, difficult to meet, and it’s what makes us different, better. We’re not ashamed to say it. Pharmacopoeial:it’s the only quality standard our herbalists can rely on when blending teas for your health and wellness. Consult your healthcare practitioner prior to use: if you have low potassium levels, if you have rheumatoid arthritis, an auto-immune disorder or a progressive systemic disease such as tuberculosis, leukosis, collagenosis, multiple sclerosis, AIDS or HIV infections; if you are taking immunosuppressants, diuretics, corticosteroids, cardiac glycosides such as digoxin, or potassium-depleting agents; or if you are pregnant or breastfeeding. Do not use this product if you have high blood pressure, heart disease, or impaired kidney or liver function; if you are allergic to plants in the daisy (Asteraceae) family like chamomile or plants in the parsley (Apiaceae) family such as fennel. Not recommended for use with children under 12 years of age. 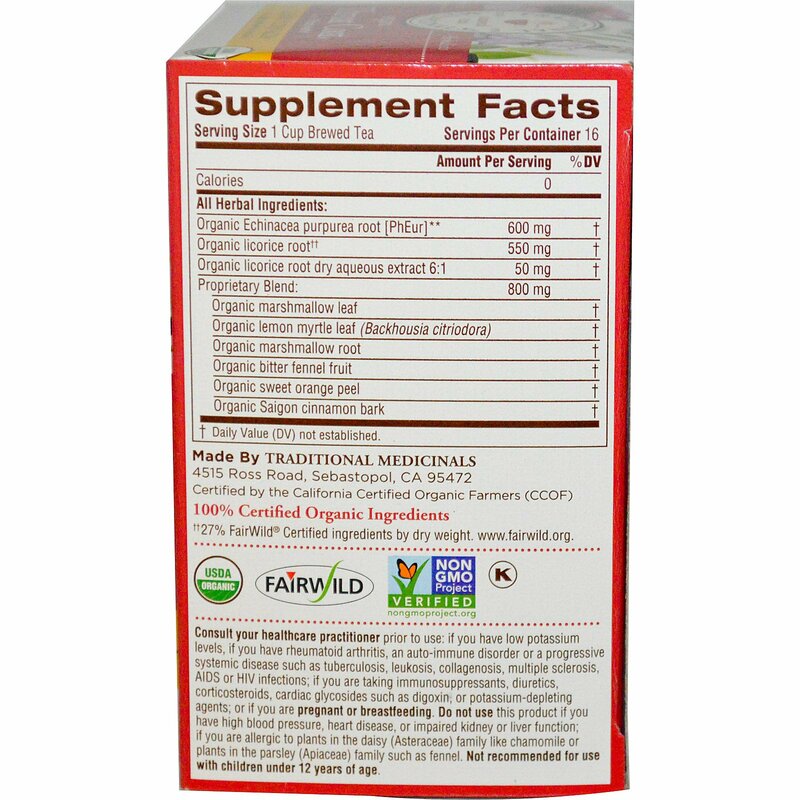 ††27% FairWild Certified ingredients by dry weight.